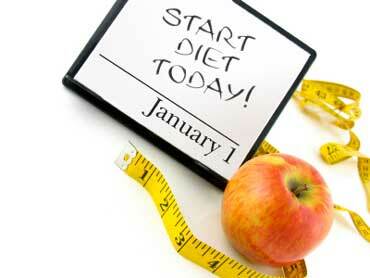 So just like everyone else in the world one of my resolutions this year is to "finally" get into shape. For some reason it seems like I always start "dieting" around August. It goes great for about 2 months, and then all of the Holidays hit and screw me over. 2 years ago I went back on the Adkins diet (this has always been a good one for me as I usually only eat meat anyways) and I lost more than 25 pounds. Last year I went on the "counting calories" diet. This was my first attempt at this diet and I ended up losing probably close to 20 pounds. Both of these had the same outcome, I gained it back because I didn't stick with it and make a good lifestyle change. So this year I am going to do things right and I am going to start from scratch. One of the biggest problems with losing weight is the mental game. First you choose your target weight. Then you think to yourself how "daunting" that goal is so you choose a smaller amount so you can have a win. Usually what happens is if you hit your smaller amount you think you are done. This is how I think it should work. In my case I want to lose 75 pounds (the Government says I should still lose another 30 on top of this). 75 pounds is a lot. Normally people would go down to say 25, etc. But I have a better way. Now let's choose an end date. I want to have achieved my goal of 75 pounds by January 1st, 2012. That means that between today and the end of the year there are 344 days left. I need to lose an average of a little more than a 5th of a pound a day or in other words about 1.5 pounds a week. Now we are talking! I have my over all goal, but I can now break it down into smaller bite sized chunks if you will. Now that I know how much I need to lose and at what rate, I think it is important to know how I got to my current weight. Both Dr. Amanda (my wife) and I work long hours. We both get off of work at 6pm, and usually have Lexi (our daughter) picked up around 6:30pm. Most families have probably already eaten by this point. Sure we could go home, but by the time something is cooked it would be about 7:15 - 7:30pm before we are ready to eat. Also we are both usually tired and the last thing we want to do is take the time to cook (shouldn't be an excuse). So we usually have 4 or 5 restaurants that we rotate around. Red Robin, The Blue Moose, Chic-fil-a, Bo Lings, Chipotle, etc. So we spend a lot of money eating out and not only does that take a toll on our finances, but also our bodies. This will need to be addressed as well. My next step is to determine the "method" of weight loss. Most always go for the "diet and exercise" approach. Part of the problem is that I don't really have time for exercise. I mean I am up at 6am and at work by 7am. My office doesn't have an employee gym or anything. I then leave at 6pm and by the time I get home it is at least 6:30pm. This only leaves about 2 hours to play with my daughter before she goes to bed. Then by the time she is out, i.e. 9pm, there is only about an hour before I need to be in bed (I am one of the people that needs 8 hours of sleep). So, now that I have everything "figured out" how am I going to achieve my goal this year? My wife (Dr. Amanda) is a Chiropractor in Overland Park, KS. A fellow Chiropractor she went to college with contacted her about a month or so ago and told her about ChiroHCG. He said that he had lost I believe it was 45 pounds on this diet in a little over a month. As with anything we take things with a grain of salt. I researched it and thought that it cannot hurt. Dr. Amanda wants me to be the guinea pig for her practice and if it is successful she will use my experience to help her other patients. So that will be the premise of the blog. It will be a no holds barred approach. I have no loyalty to anything other than myself. I am going to call it like I see it...good and bad and will give you a blow by blow approach how the whole process works. Lets' get the party started!